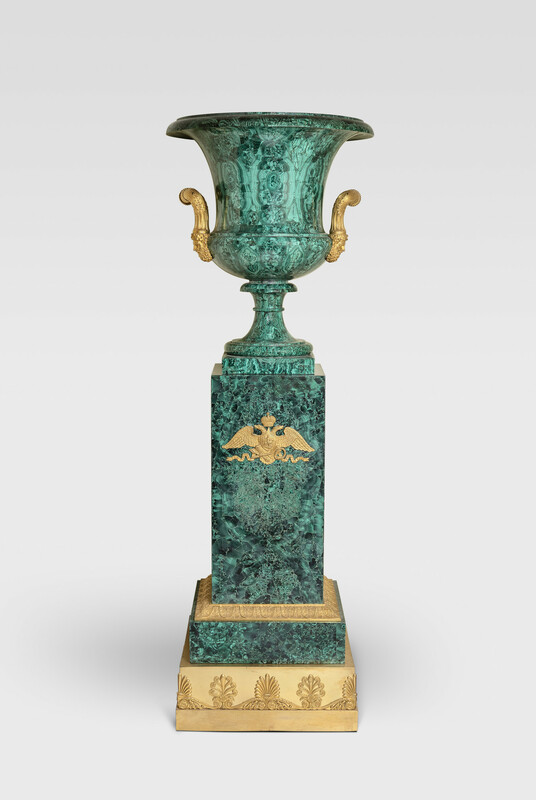 Large malachite urn shaped vase with gilt bronze handles terminating in Bacchic heads. Mounted on a square section pedestal with mounts depicting Royal and Imperial arms. 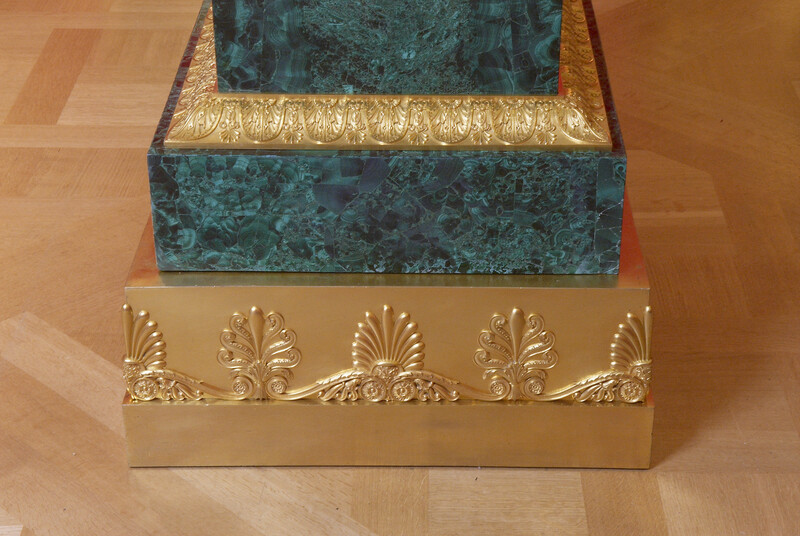 The plinth base has stylised foliate gilt bronze mounts around the edge. 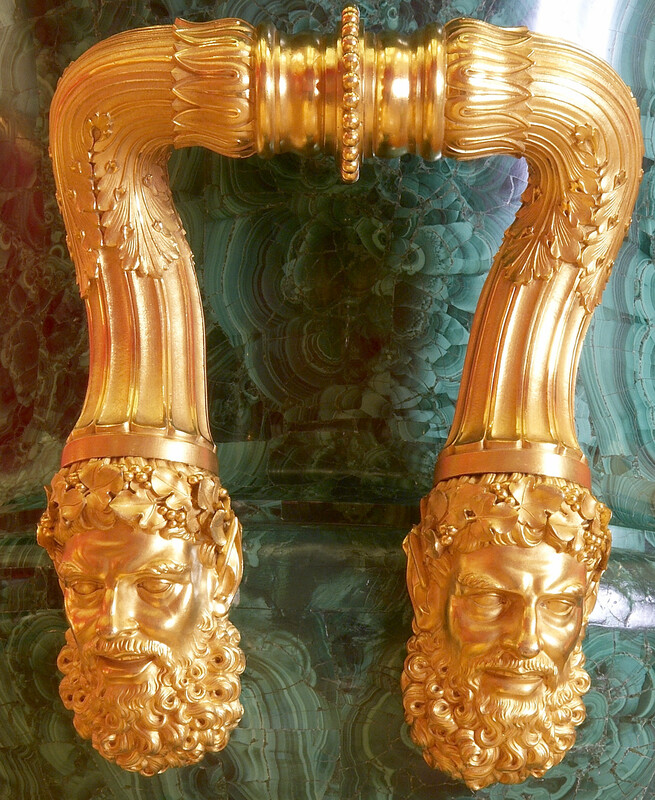 Probably made in the Imperial Lapidary Workshops at Peterhof. Sent by the Empress Alexandra Feodorovna (consort of Emperor Nicholas I) via the Russian Ambassador Prince Lieven, to George IV. Benjamin Jutsham, The King's Inventory Clerk, records receipt of delivery in three cases on 21 November 1827. The vase was placed in the central window bay of the new Crimson Drawing Room at Windsor Castle.